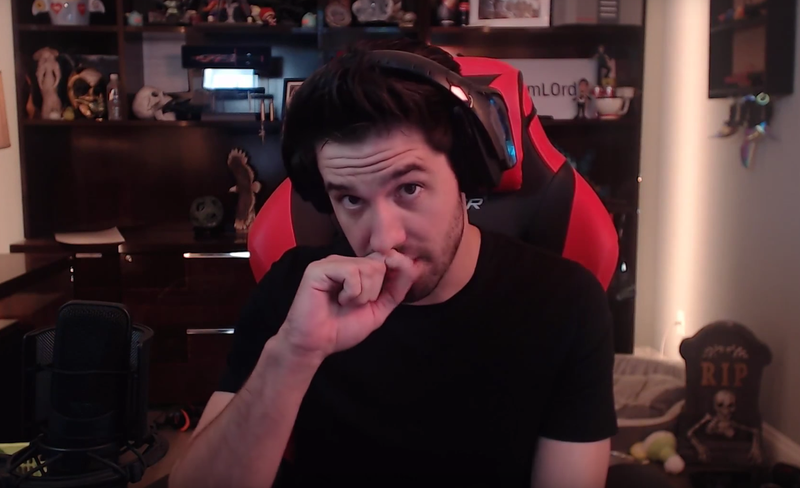 Counter-Strike: Global Offensive skin gambling streamer James “Phantoml0rd” Varga has filed a lawsuit against streaming platform Twitch for banning him two years ago, saying Twitch breached its contract by improperly suspending him. Varga had amassed over a million followers on Twitch before the goliath streaming company kicked him off in July, 2016. He was one of the top ten streamers on the site, where fans viewed his content more than 88 million times. Varga earned followers streaming League of Legends, but in 2014, pivoted to something shadier: CS:GO skin gambling. In YouTube videos and on Twitch, Varga recorded himself winning anywhere from $600 to several thousand dollars in skin lotteries on sites like CSGOShuffle. An exposé by journalist Richard Lewis reported that Varga was affiliated with CSGOShuffle and potentially owned it without disclosing that in his content. After the exposé, in July, 2016, Twitch slammed the ban hammer down on Varga. Now, Varga is fighting to get his Twitch channel back and win compensation for financial damages due to his ban. The reason for Varga’s ban was threefold, although in the suit, Varga complains that he wasn’t provided with a solid reason until after his ban. Varga allegedly violated the site’s content guidelines by claiming fake bot subscribers and broadcasting non-gaming content. (At the time, Twitch did not allow streamers to venture outside of gaming.) He was allegedly streaming too much of this skin gambling and not enough good ol’ games. (The new lawsuit quotes Varga’s manager asking him to stream skin gambling in spurts of thirty minutes or less, or he’d get flagged for a suspension). Perhaps more importantly, Twitch says Varga’s skin-gambling stream violated the company’s Terms of Service. Promoting your CS:GO gambling site without disclosing it’s yours violates both Valve’s ToS and FTC rules, therefore also violating Twitch’s ToS. In the meantime, Varga has been streaming on YouTube, which is known to be a little more hands-off about its streamers’ content. The lawsuit, filed on February 14th in the Superior Court of California, claims that Varga was banned in an improper manner and, perhaps, should not have been banned at all. Varga did not violate the site’s Terms of Service, the suit argues, citing Lewis’s “unsubstantiated allegations” against him in his expose. If Lewis was wrong that Varga owned or was affiliated with CSGOShuffle, there wasn’t a good reason to ban him, the lawsuit suggests. The lawsuit reads, “Twitch apparently accepted as true false allegations published by an unscrupulous commentator,” adding, “As a result of Twitch’s improper suspension of Varga’s Twitch.tv account, and also as a result of Twitch’s misrepresentation as to what content Varga was permitted to broadcast, Varga has incurred significant monetary damages.” In a YouTube video posted yesterday, Lewis denies that his report was unsubstantiated. The lawsuit also does not specifically say that Varga had no connection with CSGOShuffle. The suit goes on to accuse Twitch of using Varga to “deflect negative press” over the CS:GO gambling scandal and “divert attention from the fact that Twitch continued to knowingly allow such conduct to continue on other Twitch channels.” Twitch declined a request for comment, explaining that it does not talk about pending litigation. Varga has not responded to a request for comment. Even though Twitch’s guidelines have expanded to include an IRL section, where streamers can do whatever they want, Varga couldn’t come back and skin-gamble, even if he was unbanned. CS:GO skin-gambling still violates Valve’s Terms of Service.